Is it possible that some of the world’s most iconic golf courses could sink into the sea in the not-too-distant future? According to a recent report compiled by a collective of over 130 climate change organizations in the U.K., the possibility is very real and has become a major concern across the pond. 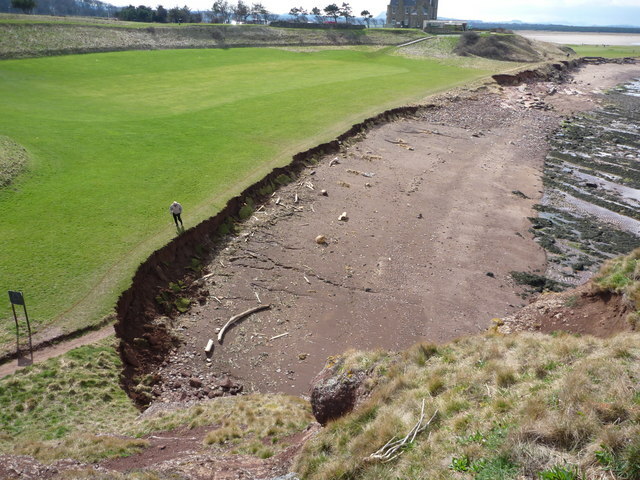 The report, entitled “Game Changer: How climate change is impacting sports in the U.K.”, posits that the effects of rising temperatures and sea levels due to climate change has already begun to erode the coast lines at St. Andrews and Royal Troon. And that the soil erosion is only going to increase unless immediate preventative measures are taken. According to the report, more than 100 of Scotland’s 600 courses sit directly on the coastline, including Turnberry, Royal Birkdale, and Muirfield — and none of these courses are immune to this problem. Just consider, for instance, the alarming warning that Chris Curnin, director of golf at historic Montrose Links, disclosed in the report. “As the sea rises and the coast falls away, we’re left with nowhere to go,” Curnin said. “Climate change is often seen as tomorrow’s problem, but it’s already eating away at our course.” This is a very scary prospect for the region as well as for the future posterity of The Open. 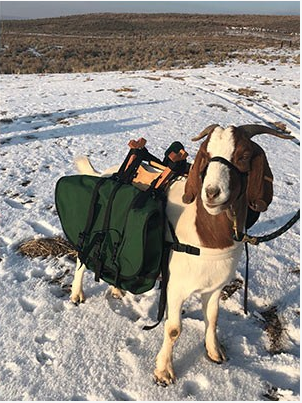 If there was ever going to be a rallying call for golfers to take up the global warming banner, this would probably be it! The European Tour may not be as popular as the PGA Tour, but it would be hard to argue that it is not the more innovative of the two circuits. Last year, the tour implemented a new hybrid tournament format at the World Super 6 Perth, where a field of 156 players was whittled down to just 24 competitors over three days of stroke play. On the final day of the tournament, the remaining players battled one another through five rounds of six-hole match play to determine the winner. And even though the tournament didn’t boast a particularly strong field of players, the unique format was received particularly well by both the tour’s fans and golf pundits from around the world. 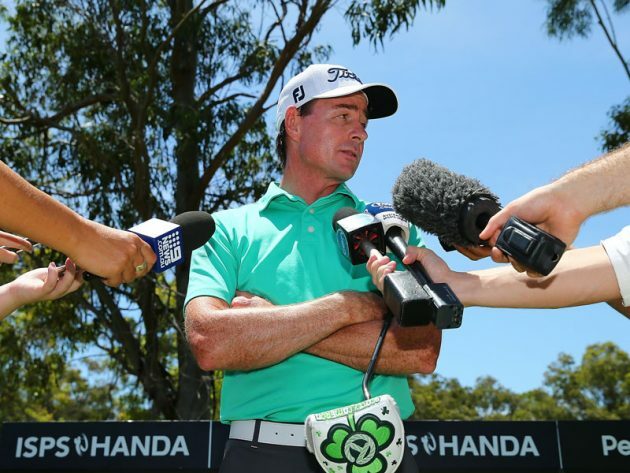 To build on the success of last year’s World Super 6 Perth, the European Tour equipped every player in the field with microphones last week so that its broadcasting team could interview players before and after shots throughout the tournament. It was the first time that an entire field had ever been mic’d. And the broadcast was enhanced exponentially, as a result! Not only did players, like Andrew Beef Johnston, get an opportunity to showcase their distinct personalities, but fans were also afforded a glimpse at how some of the world’s best players approach a variety of shots. “Golf needs to continue to stay relevant in the modern market,” said Gavin Kirkman, CEO of the PGA Tour Australasia, which runs the tournament in conjunction with the European Tour. 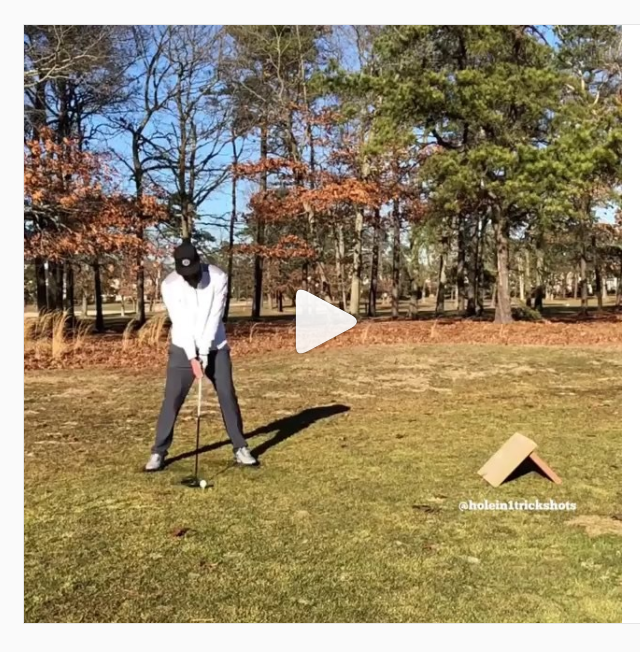 “Fans increasingly want more insight into the game, watching a player hit a superb shot is no longer enough. 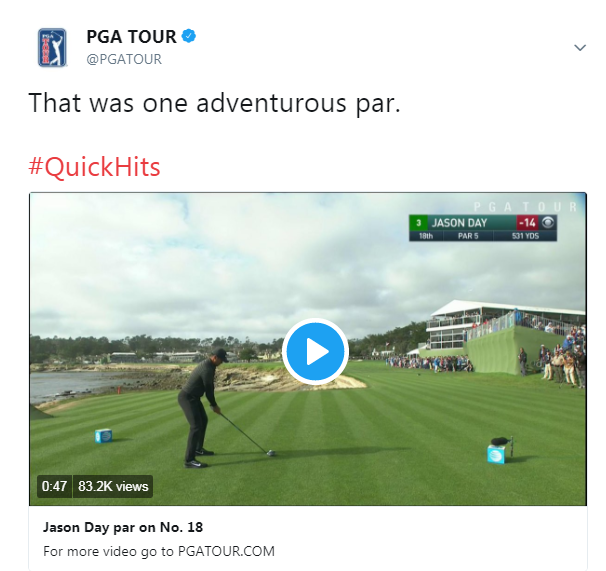 We now want to know the thought process behind that shot.” We find ourselves saying this a lot about the European Tour’s innovations, but let’s hope that this trend, too, catches on in North America. I don’t care how many takes were needed to execute this shot, the fact that he pulled it off at all is mind-blowing. Jason Day is off to one heck of a start in 2018 with a win at the Farmers Insurance Open at the end of January and a runner up last week at Pebble Beach. But it was this all-world par from the Australian on the final hole of the tournament that golf fans will undoubtedly be talking about all week. Not only did Day play shots off turf, rocks, and sand on the 18th hole, but he also drained a swooping 17-foot putt to get into the clubhouse at 14-under par for the week. 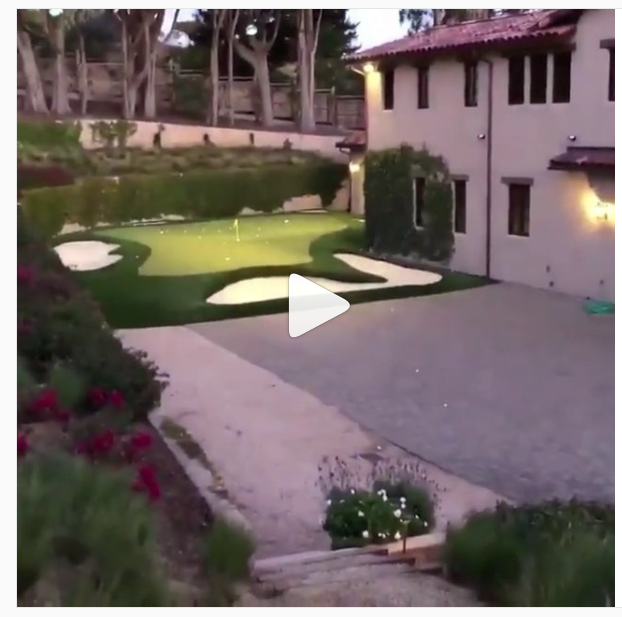 There were a lot of great shots on the Monterey Peninsula last weekend, but none made us smile quite as much as Sir Nick Faldo’s ace in Jim Nantz’s backyard on Friday night!